Thank you to Torresella Wines for sponsoring this post. All opinions expressed are my own. The following message is intended for those 21+. Please enjoy responsibly. 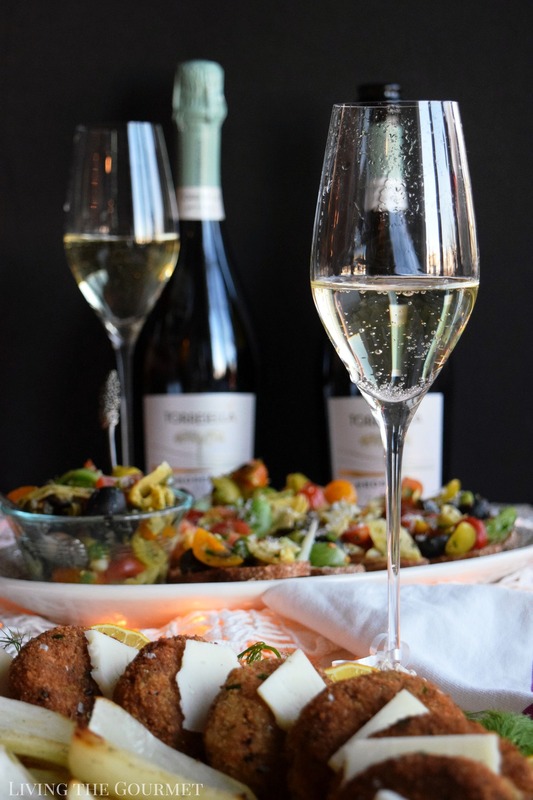 Complete the holiday season and ring in the New Year with this simple yet elegant spread featuring plump crab cakes and ciabatta crostini with a tomato and artichoke salad served alongside a bubbly glass of Torresella Prosecco. The holidays are pretty much a case study of that sentiment. I know that the prevailing sentiment at this time of the year is that there is a ‘certain magic’ or a ‘certain something’ or a ‘certain cheer’ drifting on the air, and that all of this ‘goodness’ is centered around a set of appointed feast days. While I must agree that there is an undeniable quality about the holiday season, I’ve always been one to favor those rare moments of quiet that immediately follow the great feast days. Perhaps it’s the contrarian in me, or perhaps it’s the romantic quality ingrained in being the ‘mysterious character’ of the film noir who lingers in the back of the lounge after the rest of the guests have left. Whatever the reason, those moments in the melancholy of coming down from the holidays has always been my favorite part of the season, and this year was no different. Allow me to demonstrate. This year, like every year, my family and I enjoyed our Christmas Eve, followed by a similarly pleasant Christmas Day. However, in the pleasant and relaxing quiet that followed on the Day-After-Christmas Day, I wanted to more or less ‘complete’ the scene, to sort of ‘lounge up’ my living room. 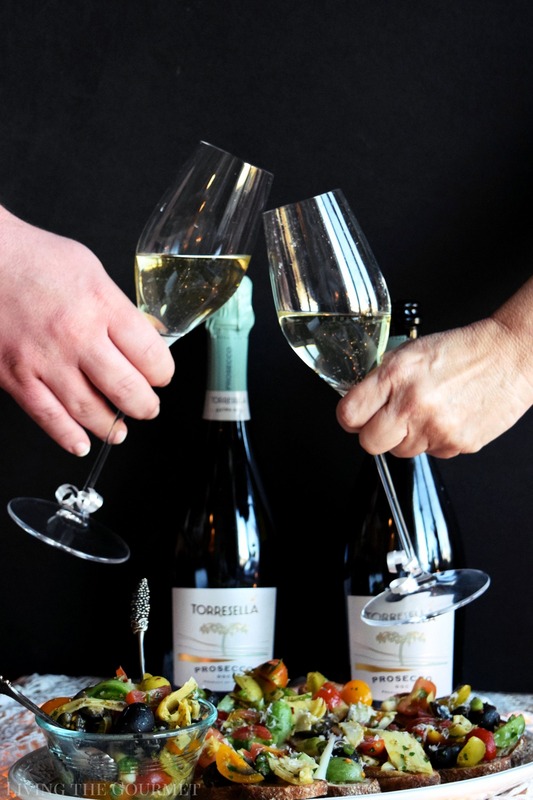 As luck would have it, earlier this month I was contacted by the representatives of Torresella, asking if I would be interested in sampling their Prosecco DOC. Naturally, I agreed, since this was just what sanity had ordered for a post-holiday spread. 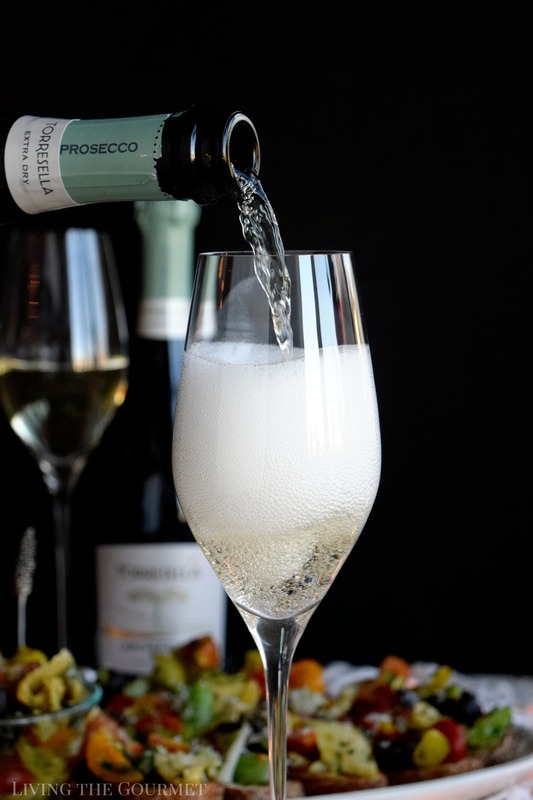 On pouring, the prosecco is a nearly translucent yellowish-white, featuring sparse and fine bubbles, with a very thick foam that quickly evaporates. The nose is instantly floral, with white spring flowers predominating throughout, with fruit essences becoming more evident the longer you linger on the bouquet, chiefly white citrus. On the palate, the aromas largely carry over, carried on a distinct creaminess, with pleasantly fine bubbles. While the orthodox thing to do would be to suggest this either as an aperitif, or with a warmed brie, I decided instead to pair it with a late luncheon spread that was light, Mediterranean in flavor, and blissfully satisfying. Naturally, that meant homemade crab cakes, ciabatta crostini, grilled fennel, and an artichoke, olive, and tomato salad served as a late luncheon beside my bay window. Starting off with the crab cakes, we begin with four cans of pink crabmeat. You must thoroughly drain the liquid from the crabmeat. Then you combine crumbled bread, bread crumbs, grated garlic clove, flour, grated cheese, an egg, the seasonings listed below, with lemon juice, parsley, anise greens and olive oil in a large bowl and mix. Then add in the drained crabmeat and work the resulting mixture together until it is blended nicely. Next, it’s time for the dirty work, and that means separating the above mixture into roughly half inch thick by three to four-inch-wide patties, and then coating those patties in breadcrumbs. Heat a large cast iron frying pan with about a quarter of an inch of canola oil, and while that heats up, prepare a plate with a paper towel, which you will need for the fried crab cakes. Once the oil is hot, carefully set the patties in the frying pan, being careful of the oil splattering up at you. You will want to cook the patties for about three minutes on each side. As they finish cooking, set them on the plate that you prepared with the paper towel. 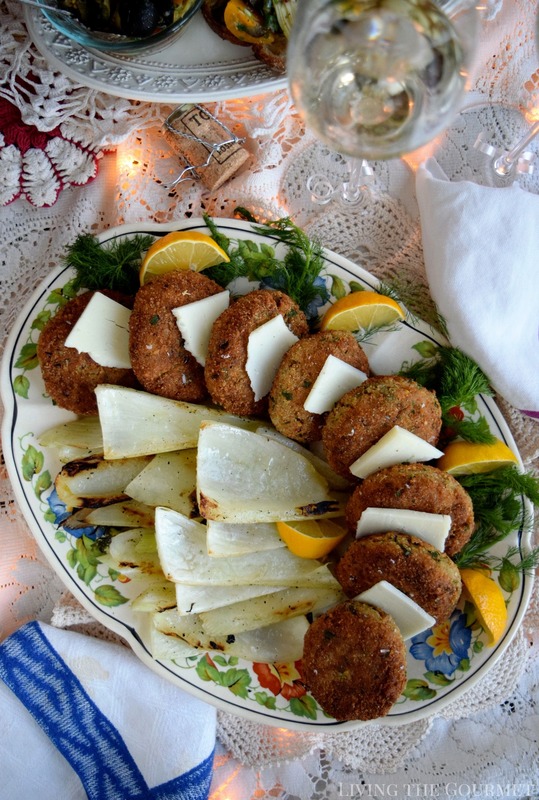 Once the patties are done, arrange them on a platter with alternating thinly sliced Asiago cheese and lemon wedges, as shown below for a stellar post-holiday plating. Place the crab meat in a colander and press down on it to thoroughly drain the liquid from the crab meat. Place the crumbled bread, bread crumbs, flour, grated cheese, egg, seasonings, lemon juice, parsley, Anise greens and olive oil in a large bowl. Add the drained crab meat and work the mixture together. Prepare a small bowl with about ½ cup of bread crumbs. Form the crab mixture into small ½ inch thick patties. Dip the formed crab cakes into the bread crumbs to coat the cakes. Prepare a plate with a paper towel for placing the cooked crab cakes on. Heat a large cast iron frying pan with ¼ inch of canola oil. Carefully place the crab cakes into the hot oil and cook for about 3 - 4 minutes on each side. When one has become a beautiful golden color, carefully turn over and repeat this on the other side. Place the cooked cakes on a plate prepared with a paper towel. 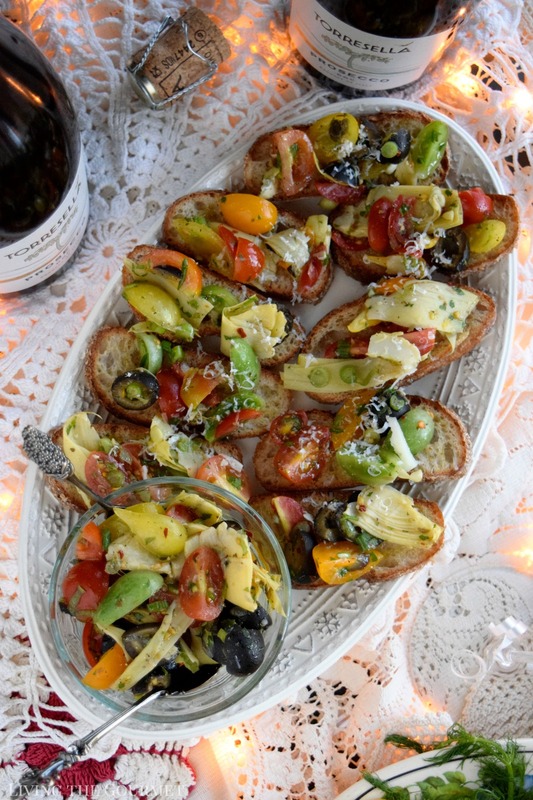 Serve with a lemon wedge and thin slices of Asiago cheese. Heat a large cast iron frying pan and place the fennel in the dry pan to become slightly charred. When the fennel has become slightly charred on both sides add a tablespoon of olive oil and sprinkle with salt and pepper. Remove from the pan and plate. Since I had a whole wheat ciabatta loaf left over from Christmas, I sliced that up thin and turned it into crostini. Just slice it thin, brush the slices with olive oil, and bake them in the oven for about ten minutes, turning over once mid-way. However, I didn’t ‘merely’ want crostini, no, I paired this instead with a tomato and artichoke heart salad, and grilled anise, to complete the post-holiday tablescape with my crab cakes. 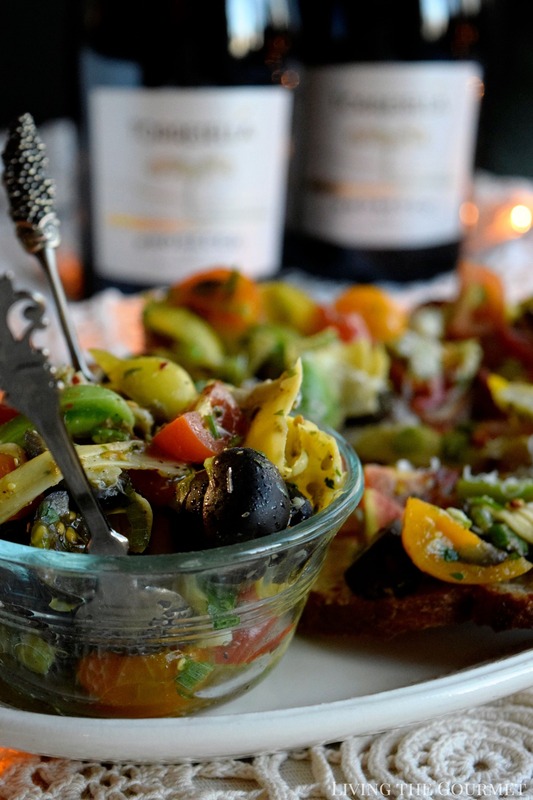 Brush the sliced Ciabatta bread with olive oil and place on a baking sheet. Bake for about 10 minutes turning over once midway and brushing the other side with olive oil. Remove and set aside for the salad. Combine all of the ingredients for the salad in a bowl and then place in a colander to drain any liquid and place back in the salad bowl. Add the olive oil and the seasonings and toss. 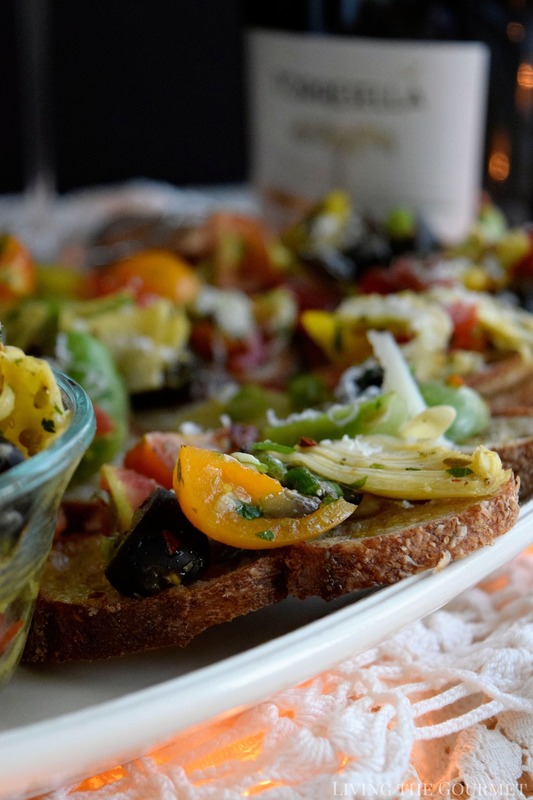 Place on the prepared Ciabatta bread and grate with Parmesan or Romano cheese. Naturally, this all perfectly complemented the Torresella Prosecco DOC, which I can wholeheartedly recommend to my readers looking either for an accessible and delicious aperitif bubbly, or who might be interested in pairing a prosecco with a light late lunch as I’ve done here today. Cheers & Enjoy with Love! These look lovely! I love that the crunchiness of the coating on a good crab cake never seems to deter the insides from being nice and soft. Wonderful spread! 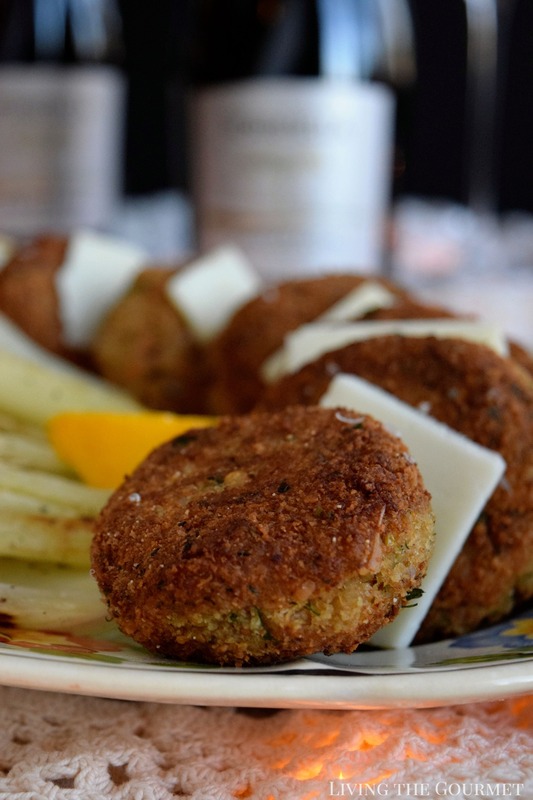 I love crab cakes, they're one of my absolute favorite appetizers! Those crab cakes look amazing! Everything is so elegant! Absolutely beautiful presentation. I'm with you, the best part of the holidays is after the holidays. I'm an introvert so I love the quietness the Stillness after the madness has calmed down on. Presentation and photo is beautiful and that wine.. oh my God I wonder if I can find that in my area? While I do prefer to buy locally when possible, wine.com is a great resource in that regard since you can get pretty much any bottle from any region from them. As a point of interest, the agency representing this winery actually used wine.com to ship this particular bottle out to me. 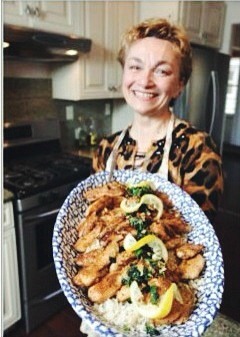 I love that the wine gave you a reason to cook... usually I only cook as a reason for wine! You have lovely shots too. A new crab cake recipe to try...I never would have thought to pair them with cheese.